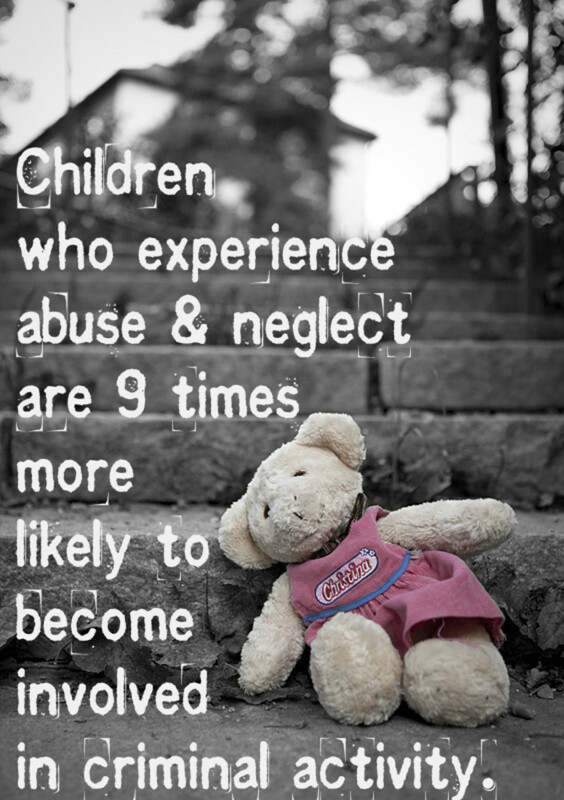 Chances are that you know someone who abuses his or her partner or children. They could be a relative, coworker, neighbor, someone you go to church with, even your child's teacher or coach. Every nine seconds in the United States, a woman is beaten. 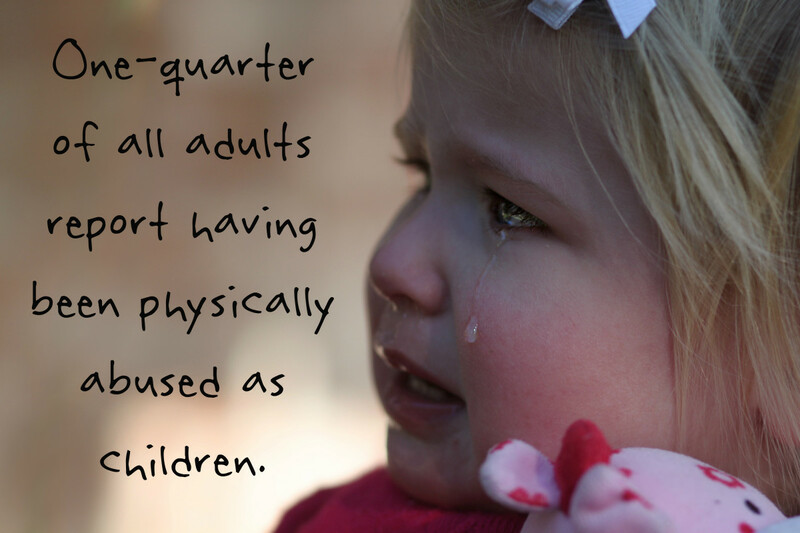 Ten million American children are exposed to domestic violence each year. Long-term impacts of child abuse include higher risks of smoking, drinking, and sexual activity at an early age; illicit substance abuse; criminal activity; teen pregnancy; adult psychopathology and suicide; and even heart and liver disease decades later. Children who grew up in abusive homes are at a three-fold risk of perpetuating the cycle. Outside of the secrecy of home, the vast majority of abusers are law-abiding citizens without criminal records. However, the trauma that they inflict can last a lifetime. One way you can help spread awareness about the epidemic of domestic violence and child abuse is through music. Make a playlist of pop, rock, and country songs about this painful, moving topic that impacts so many lives. This heart wrenching 2002 country song features an abused little girl who packs her own lunch and walks to school in the same dress she wore yesterday. She hides bruises and the awful secret of how they got there. Although a teacher wonders about the child's home life, no one dares to ask or intervene. Without a lifeline, the sad little girl becomes a cemetery concrete angel, eyes cast skyward. Her spirit flies away to a place where she is finally loved. Abuse victims often provide similar rationales to others for their wounds: "I'm clumsy" or "I walked into the door again." Those are some of the reasons the protagonist gives for her injuries. She is a young girl named Luka, and she addresses a downstairs neighbor in her apartment building who must've heard the abuse late at night. Dutifully trying to protect her abuser(s), Luka tries to convince the neighbor that it's all under control. The 1987 pop tune became an international hit. This was the same year that lawyer Joel Steinberg and companion Hedda Nussbaum were charged with the beating and subsequent death of an illegally adopted six-year-old child in their care. The case received national attention. Steinberg ultimately was convicted of manslaughter but is out on parole today. Meanwhile, Nussbaum, a battered person herself, escaped punishment and now lives under an assumed name. Have you every "lost it" with your own partner and/or kids? YES, I have physically struck my partner and/or children. YES, but only if spanking unruly children counts. YES, but it's the alcohol/drugs that made me do it. YES, but only in self-defense when I'm struck first. NO, never. I use words, not fists. Children who are trapped in their parents' abusive marriages experience more trauma than their parents understand. In this 2002 rock song, a child describes his drunken father using his mother as a punching bag. He subsequently instructs her to tell the emergency room nurse that she slipped and fell. When the violence repeats itself, the battered woman pulls a gun on her husband in self-defense. All of their lives are about to change permanently. Based on a true story of a little girl who was abused, this 2007 country song was so emotionally grueling to write that it took the singer-songwriter two years to complete. It also gave him migraines. The tune portrays a girl whose school playmate lies to classmates and others about her bruises to protect her abuser. The daughter realizes something is wrong and asks her father why Alyssa lies. Before the father could report the suspicions to authorities, the classmate had been beaten to death by her abuser. This 2005 ballad reached the top of the charts and became an international hit. 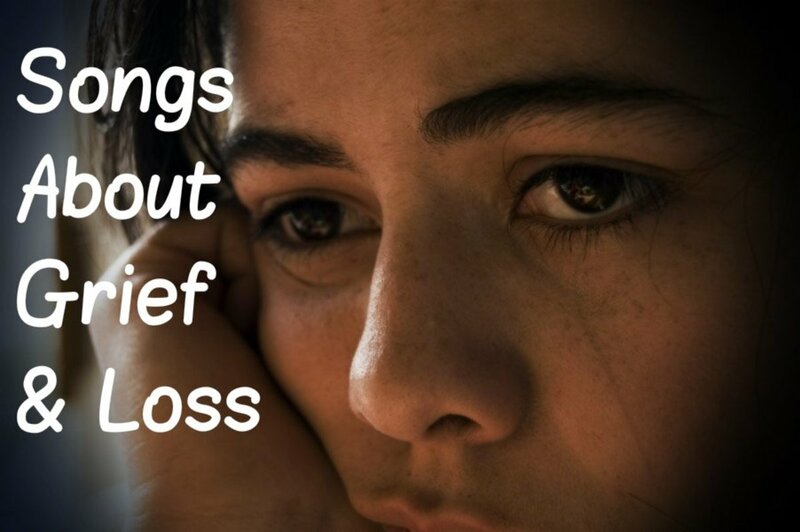 It describes the lasting impact of growing up with psychological abuse. The narrator attributes her overcautious, untrusting tendencies and fear of taking chances to her father. The harsh criticism she endured has left her with a deep sense of shame. Every night the neighbor in this 1987 pop song hears the screaming and loud voices in the adjoining apartment. From experience, she has learned that it's pointless to call the police because nothing will be done. The tears well up in her eyes. These two so-called lovers need to be separated for their own safety. Neither love nor affection is supposed to physically hurt, but the narrator in this 2008 pop song doesn't understand that. Even if you aren't religious, this 2000 country song will tug at your heart. It describes the young daughter of an alcoholic father and drug-addicted mother. The child thought she was fending for herself. Poorly parented, the girl was left alone to watch television all day while her parents battled each other and gave in to the worst of their substance abuse. During the most unbearable moments, she hid in fear behind the family sofa. That's where she crouched when her enraged father turned a gun on both her mother and himself one night, making her an orphan. In her foster home, she went to Sunday school for the first time and saw a picture of Jesus on the cross. Immediately, she recognized Him as the same man who hid behind the couch with her that fateful night. Highly trained advocates are available 24/7 to talk confidentially with anyone experiencing domestic violence, seeking information or resources, or questioning unhealthy aspects of their relationship. When you think of The Beatles, chances are the first thing that pops into your mind is not the misogynistic death threat in this 1965 rock song. However, let's be honest: Mr. Peace and Love, John Lennon, did hit women and children. Or you won't know where I am. The narrator in this 2012 pop song recalls experiencing childhood trauma, a criminal act that changed her forever. She regrets that she was forced to grow up too fast and for so long felt broken and bruised. However, now, she wears her pain like a battle scar and describes herself as a warrior and a survivor. Studies show that one in five girls and one in 20 boys is a victim of child sexual abuse, although these numbers could be higher because such abuse is often not reported. Frontman Chad Gray and others like him have grown up within an abusive environment that many of us can only imagine. This 2014 heavy metal song is about that hell. It describes what can go on in emotionally and physically unsafe homes: insulting names, beatings to the point that the narrator peed his pants, screams, and strangleholds. Life is full of forgiveness, and I’ve had to forgive to live a more settled life. So forgive, lay down your arms, be a better person and take a stand with me. Don't try this at home. 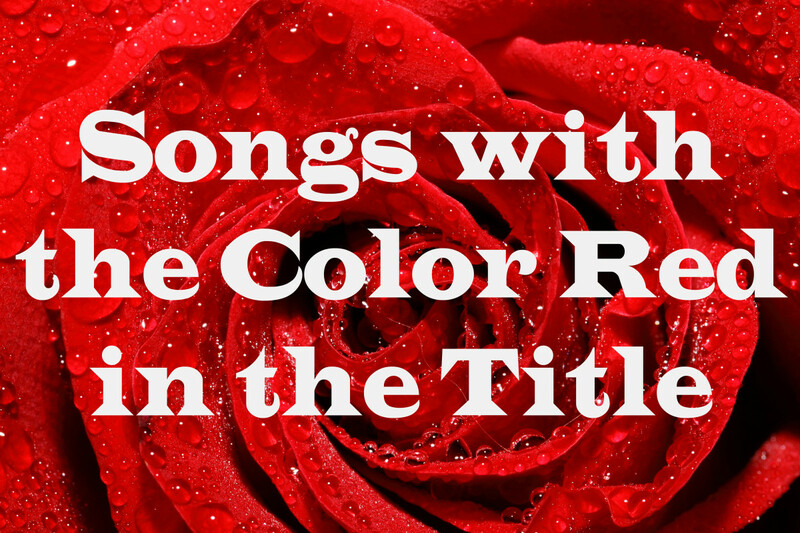 In this sassy 2007 country song, the narrator was beaten by her live-in lover. Now, she's toting a loaded gun and is seeking revenge. After topping up on liquid courage, she waits by the front door with a loaded shotgun, cigarette hanging from her lips. She's waiting for her abuser to return from his all-too-brief stint in jail. Ominously, she warns, "His fist is big, but my gun's bigger. He'll find out when I pull the trigger." Trapped in a relationship where she's a human punching bag, the woman in this haunting 1999 pop song often takes her kids and escapes the abuse, even if it's just for a short time. They spend the night in cheap hotels with two beds and a coffee machine. Unfortunately, with groceries and other bills, she feels the economic pressure to keep returning home. She wonders how they will ever make it through. Bystanders are so afraid to get involved, but that's one reason why an estimated five children die every day from child abuse and neglect. Natalie Merchant, who wrote the song, based it on a real family who once lived nearby. The 1987 rock song profiles a woman who realizes that her neighbors are abusing their young son. She hears the threats of violence and sees their half-naked child run into the yard, looking for a place to hide. Rather than calling authorities, however, she hesitates, struggling with whether to speak up or continue to mind her own business. What would you do? This darkly entertaining country song from 2015 tells the story of a poor but beautiful girl, Jenny, who married a millionaire. However, the trouble was this: he was an angry and violent drunk, and all the money in the world couldn't make up for that fact. Eventually, Jenny grew tired of being on the receiving end of black eyes and bruises, so she slipped a permanent solution into her old man's whiskey. And then they were even. According to this 2002 pop song, when you grow up in a home where there is domestic violence, reaching adulthood is like surviving years living in a combat zone. The bruises and marks fade, but the guilt and anguish have left permanent scars. Despite her father's abuse against her mother, the narrator provides reassurance that she's made it out okay. The push and pull of a mutually addictive, brutal relationship—that's what this 2009 song is about. And the artists who sing it should know a thing or two about the topic, as they've each been involved in toxic love affairs. The international chart-topper depicts the cycle of violent aggression between lovers, the lies that it will never happen again, and the justifications for not walking away from the unhealthy relationship. Home is supposed to be a safe place, but the young man in this 1993 rock song has endured years of beatings, humiliation, and fear there. As he drives away from the horrors of his past, he feels emancipation, and he sees the abusive situation more clearly in his rearview mirror. This tender pop song from 2006 addresses the narrator's mother who was a victim of spousal abuse for years. Her mother covered up her own cuts and bruises, but when her husband turned his violent rage on the kids, she decided that was it. The narrator thanks her mother for her bravery and reassures her that together they will always pull through. 25. Kristy, Are You Doing Okay? 56. Do You Know Where Your Children Are? 61. A Child Called "It"
Hollow Hearts Ft: Calli Kathleen. 87. Daddy, Did You Know? Know a song about domestic violence or child abuse (that doesn't seem to promote it)? If we left off one of your favorites, make a suggestion in the Comments Section below. Bill Tell- Thank you for this song recommendation which I've added. Whose innocence was stolen from her hands?" speak for themselves. Yes, that seems to fit better. Bob - I'm going to add this to the playlist of songs about stalking and obsessive love if it's not already on there. Thanks for the suggestion. What about "Delilah" by Tom Jones. M - Thank you for this suggestion. I'm adding it. 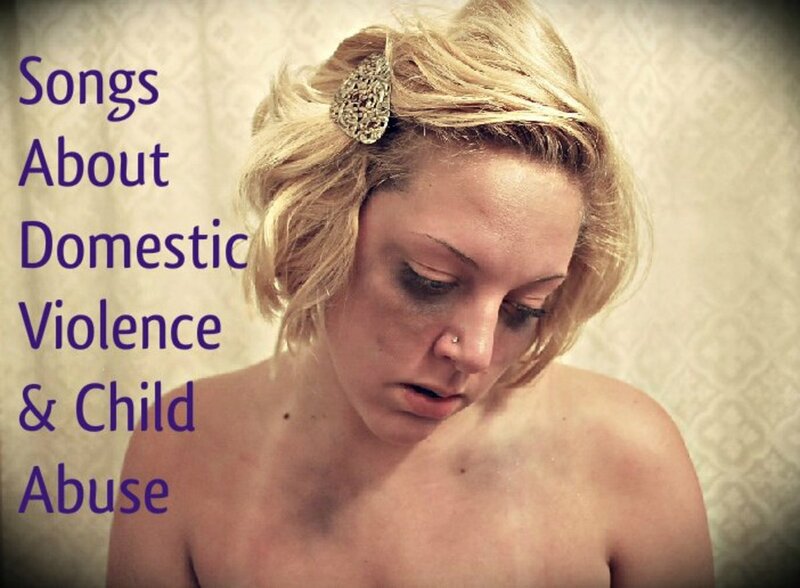 Be well and spread the message that domestic violence and child abuse are unacceptable. babs181 - Thank you for that suggestion. It certainly speaks to all the emotional manipulation of domestic violence. poozybear - That's a sad child abandonment song. What's saddest is that it was autobiographical for the lead singer of Everclear. I'm sorry that you can relate to it. Xen - Thank you for your list of song suggestions. 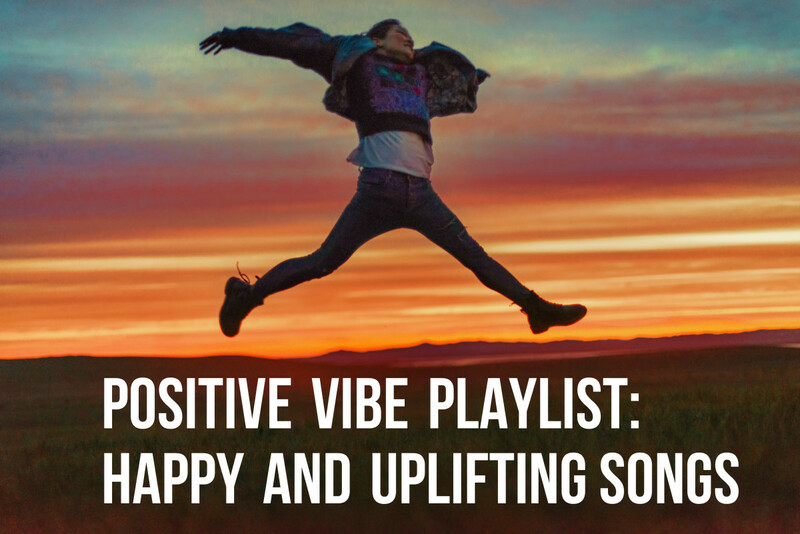 I've had a chance to go through them and have added them to the appropriate playlists, including the playlist about perfection and struggling to be perfect; stalkers and obsessive love; and losers and failing. Even the ones that didn't fit may have sparked an idea or two for future playlists. Thank you! I appreciate you! IDK how fitting these are but I think they do. I am certain I have more in my collection...my life experiences have given me a sensitivity and I tend tie songs into my personal broad definition of abuse. Even when others do not see the context.... Like songs about toxic relationships and bad break-ups, songs about self abuse..
Well good list, I had most of those myself but I got a few new ones and was remind of some...like Indepence Day..I totally forgot and I loved that song when I was a kid. I hope to hear back on my suggestions if you think they work. I can extrapolate more too. Drew - There is tragic underreporting of domestic violence and child abuse across the spectrum, and males (particularly grown men) are certainly among the invisible victims. In my professional and personal life, I have encountered several men who have been battered (albeit there were dozens of women too). We all know someone, whether we realize it or not. My intent here in this playlist is to simply raise awareness. The lead photo had to portray someone, and I chose a photo with a female because the statistics indicate that females are the victims of reported abuse at higher rates. This is not to minimize the experience of males. You're right that women tend to perpetrate certain types of abuse at slightly higher rates than men. Boys also have higher rates of fatality from child abuse than girls. However, it's important not to make broad inferences that women are chiefly responsible for this epidemic, this cycle of violence. We ALL must own this tragedy. I tried to be careful to present information from credible sources such as the National Coalition Against Domestic Violence and academic journals, to provide statistics for both males and females, and to use gender-neutral language such as "partner" where appropriate. If I fell short, I hope you'll consider that it was designed as a playlist rather than an article on domestic violence per se. Wishing you well. Thank you for your comment. Kate - This is awful and I'm sorry that both of you have had to endure this abusive behavior. She can't possibly be well enough to work or exist in any manner outside the home. It does sound like you have a plan, although I hate that you both have to wait that long for it to come to fruition. Please consider calling the resources listed above in the article. You don't have to move as far away as Germany, just to another state and cut contact with her. Most of all, take care of yourself. Candle Queen fairly accurately depicts my mom's attitude and life path. Everything, from a dropped plate of food, to a stubbed toe is deserving of a full on crying meltdown. We are expected to say nothing, even give her emotional support, or else we're "abusing her". We're also expected to do everything for her (she doesn't view it that way). She gets upset about the most arbitrary and harmful ( to us) things. Example: she gets upset every time my underweight 6'2" teen brother (he looks like a stick) tries to eat. She won't make food, she won't allow him to make food, she wont buy anything (like carrots or apples) that don't require prep, and she won't allow him to go out to eat. I try to slip him as much food as I can manage when I come home from college (where I do my own shopping). Its a similar situation with laundry. If you don't think it is abuse, I just started having roommates this past term. They keep observing weird behavior from me. I keep expecting them to verbally attack me for minor infractions. 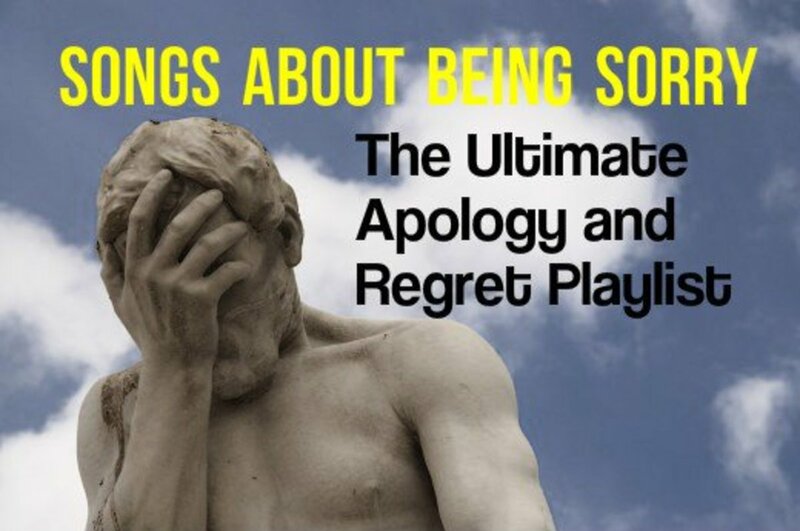 I apologize more than most people. I keep trying to clean for them when they start cleaning, I have to stave off a panic attack every time someone comes into the kitchen while I am cooking, weird crap like that. I am graduating from college in 6 months. My brother leaves for college in 9. She has about a year to figure her stuff out before I get enough money to live in an apartment. At that point, I will be letting my brother crash at my apartment during the summers, and once I have enough language skills and money saved up, I am moving to Germany (I live in the US). I - Thanks for the suggestion. Maybe Superheroes by the Script? Katie - Thank you for the song suggestion which I am adding. Please take good care of yourself. If you are in crisis, please contact 911, the National Domestic Violence Hotline 1-800-799-SAFE (7233) or the Childhelp National Child Abuse Hotline 1-800-4-A-CHILD (1-800-422-4453). I'm sorry this topic resonates with you. Back again with another song suggestion: Her Demon by Hollow Hearts & Infectious ft: Calli Kathleen. This one really hits home with me. Bill - Thank you for the suggestion. I added it for our metal fans. Have a good week. Facade by Disturbed is another one, for those who like heavier music. I'mTryingtoSurvive - This hurts my heart to know that it's going on in your home. You are absolutely not to blame for this, not one iota. Please tell a responsible adult, whether that is your mother, another relative, trusted teacher or school counselor. You can also contact the National Domestic Violence Hotline 1-800-799-SAFE (7233) or RAINN's National Sexual Assault Hotline at 800-656-HOPE(4673) or chat online at https://hotline.rainn.org/online/. My kindest thoughts are with you dear one. Asbjørn Søllested - Thank you for the song suggestion which I have added at 95. Have a great week. Be happy and well. StayCSarcastic - Thank you for the song suggestion. I have added it to the playlist. Be well and have a good week. Harleen - Thank you for those additions. I appreciate you. Have a good weekend. Cynthia - That's so sad. How in the world does one ever gain that trust when so many boundaries have been violated? Thanks for sharing your experience working with survivors. Good job, as always, in researching the music that goes with emotionally-wrenching life events. "Luka" really stood out for me-- I was working in domestic abuse at the time, in a shelter with children who had been to hell and back, seeing their mothers beaten, being neglected and abused themselves. One of the saddest stories I ever heard was from a young woman who was abused by her father-- physically, emotionally, sexually-- and no one ever intervened. She trusted no one. Heather, does your cousin live near you? Robert - Heather might also consider local, regional, and national Autism organizations such as the Autism Society of America. Or contact an attorney. Heather, that's horrible. Are other family members aware of the situation? Heather - Don't give up. Start writing letters and send them certified mail, marked "URGENT." Keep a copy. Send a copy to the Governor if you must. my 4 year old cousin who's autistic and cant speak is starved beaten and neglected. Ive told all the so called right people and all they say are "sorry about that": Someone needs to do something before its to late. Continue to be strong and vigilant and know that you are not alone. Thank you for sharing your story so that others can realize they are not alone either! All the best to you. Hi I was a victim of Domestic violence for 13 years I have now been away from him for two years I had to get a restraining order against him for three years but he still manages to abuse me the police have being looking for him for 3 weeks. The state I still have to live in is bad but it's not hell living with him was hell but every time I walk into my hallway I cry because of all the locked and bolts all the way up my door I'm embarrassed to have anyone over because then they'll think I'm paranoid but the police done a risk check on my ex partner and because the scores he hit were high there just trying to keep me safe till they find him but I urge anyone who's being abused both mentally and physically there's lots of help out there and the abuser never needs to no about the help you're giving even if they phone you and your abuser is sitting with you they're highly trained like I had a safe word like if I said I'm already with a good phone provider they would know my abuser was with me so they would just say thanks for your time goodbye, that really helped me and. I'm not saying it's easy because it's not but it's so worth it I've had times when I've wanted to go back with my ex but didn't understand why that was intill I was told to google toxic bonds then it made sense I wasn't missing my ex my body and hormones were getting messed up because the toxins the body releases after the abuse it's very interesting infact I think teenagers should be taught at school what happens in abusive relationship because a lot of young people confuse the chemicals that you're body releases you think that you love the person GOOGLE TOXIC BONDS then you'll all no what I'm meaning I started going with my abuser when I had just turned 16 then I was pregnant within weeks but if I had known about toxic bonds I wouldn't have stayed with him but I had to walk my path and it's only made me a stronger person thanks very much Flourish the playlist helped me sending my prayers love and hugs to everyone may love and light BLESS USE ALL. Would Delilah fall into this category? Aaron - Thanks for that song suggestion. I've added it to the list at #89. Have a good weekend. Bob - Thanks for your kind comment. 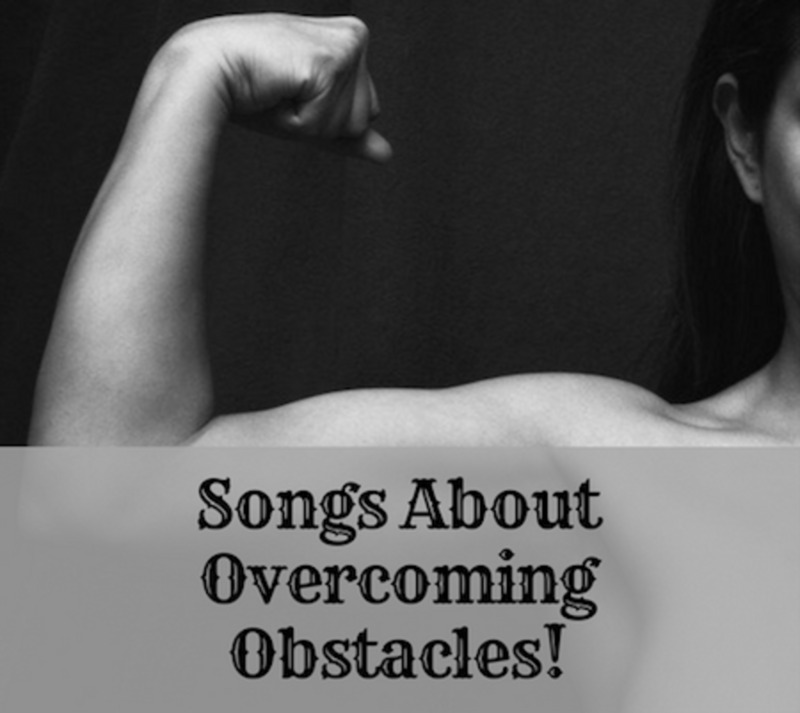 These are powerful songs. Many of them made a definite impact. You did well by posting this article. "Please don't believe me" by Terry Sue Crawford or Alan O'Day. "It shouldn't hurt to be a child" by Hollow Hearts Ft: Calli Kathleen. imscared - Adding this song. Thank you for the suggestion. Be safe. hatingmydad - PLEASE reach out to the domestic violence hotline listed in this article 1-800-799-SAFE (7233) so that you'll reach someone caring, trained, and able to talk to you one-on-one. You do not deserve to be abused, and there are people who care. Abuse can have immediate impacts upon a person's safety, plus long-term impacts upon a person's self-esteem and how well they are able to function in the world. Please call that number. Im abused daily. I don't know who to talk to and I don't like my dad. I dont know what to do. But I know i wanna stay here at home. idk what to do. Tracy Pierce - Although not intended about domestic violence or child abuse, this song is definitely appropriate for the topic. Thank you for the suggestion! I've added it as #83. Catherine - I'm so sorry to hear that you were a victim a child abuse. I think if more people stood up and self-identified, then other victims wouldn't feel so isolated and alone. Thank you for sharing. What I love about your playlists is that you so often call attention to important issues. Child abuse and spousal (mainly wife) abuse are such important issues. Thanks for shining a spotlight on this. I read the intros, but I couldn't bear to listen to the songs. I was a victim of child abuse and I still suffer the effects of it. Anna - If you're talking about HP, I just publish and they pick it up or don't. Then every two weeks you can submit them to one of the niche sites using the buttons at the top of your hub. Hope that helps. Shyron - Thank you so much for your kind words of support. I hope it raises the awareness I imagined. Thinking of you. Have a good week. I tried to search my memory for a song(s) about abuse and came up empty. This is a great hub and it should help people get help if they are being abused. Thanks. Where is everyone submitting articles? I've worked all day trying to submit articles.I submitted to search engines today. Anna - Thank you. You are brave. I wish you peace. Thank you. If you ever do a follow-up story about the victims of abuse, you can interview me. I don't write on the topic, the closet I came to that subject was human trafficking. Anna - I'm sorry you lived with abuse for so long but hope that you are safe and well now. Thank you for visiting and sharing your story. I've experienced physical abuse from my other half for eight long years until his passing and it's a cycle hard to get away from. Your article is wonderfully written, I enjoyed it very much. Jennifer Mansfield - So sad that there are so many songs about this topic. I appreciate your suggestion and have added it at #81. Be well and happy. You are welcome:-) Have a wonderful week, too! Tamara, Thank you for your kind comment. Have a wonderful week! Not only do I like these songs that you have taken the time to post in concern for those who suffer these tragedies, but you are so kind to put the number of a resource in which to call for help. Your songs are fun, but also they help us, too! Paula - I completely understand. Thanks for sharing a bit of your story. Dianna - I hope that it prompts victims to seek help and realize they are not alone. Thank you for weighing in. F.A. I stopped by to just say, "Hello" & to apologize. I simply can't read this one, but I'm certain it is as excellent as all your work is. Even after (or perhaps "because of) decades of work, so closely associated with this shameful & egregious social sickness, I've taken as much of a permanent hiatus as possible, without being unconscious. No matter how lengthy, how "clinical" or whatever small successes, it is personally unavoidable that I STILL experience severely visceral reaction. 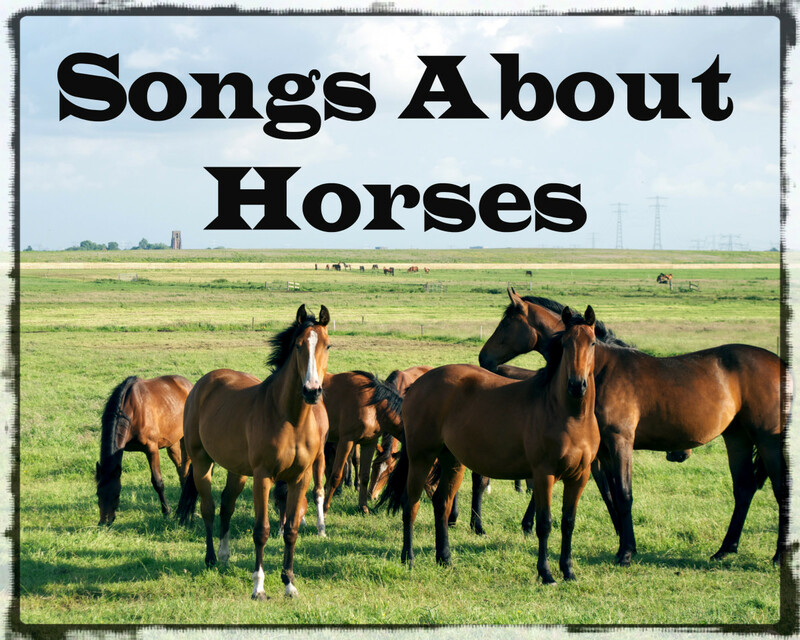 I didn't realize there were so many songs touching this subject. I pray they awaken people to the truth of such unfortunate crimes. 42 - I almost deleted your comment simply because of your "name," however your song suggestion is a good one. I'm adding it. what about Yvette by Jason Isbell!? Devika - Thank you for your support and encouragement. Such songs do have a great connection with victims. You created a beautiful and meaningful hub! Linda - Sometimes songs can connect people to helpful resources. That's what I hope to do for those who need them. They need to realize that not only are they not alone but also that there's help. Thanks for stopping by. Have a good weekend. This is an important article, Flourish. I hope many people read it. It's not pleasant to think of the pain and suffering that you describe, but it's something that we all need to be aware of. Thank you for creating the article. Larry - Thanks for your support. I agree that we need to become more aware of its prevalence. The victims walk among us every day and we aren't even aware of the pain they've endured or are enduring. I hope you are doing well. Luka, Goodbye Earl, Janie's got a gun, never realized there were so many good songs about this despicable act. Dora - I agree that it's a serious problem and hope this creates awareness around this epidemic. These crimes are no laughing matter, and even in your list it is the girl or woman who gets the blows. Hopefully these lyrics reach the hearts and minds of these who seem unreachable otherwise. Nell - Thank you for offering up that song. I have added it as #79. The more we shine light on the problem, the more we can bring hope to ending it. Powerful songs and meaning, there is another one that I always find so strong, its Scorpions Daddys Girl. Powerful, scary and too many people out there doing it. Good to see songs talking about this kind of thing. Jo - Thanks for stopping by regardless. Trying to let people know they are not alone and raise awareness for those not directly impacted. Have a good week, sweet lady. Linda - I think musicians and songwriters sing and write about what they know, and unfortunately, domestic abuse all too often is part of that reality. Thanks for weighing in. When I saw the title of this article I knew it would be brutal. Tough to get through. Don't think I want to listen to any of these songs for a bit. Rasma - There are so many walking wounded people who have been abused in their homes. Another reason to be kind to others, as we never know what one is dealing with in other aspects of their life. Thanks for reading. WOW I didn't realize there were so many songs on such a tragic subject. Thanks for sharing as always. I will have to check come of these out as I don't know practically any of them. Martie - It's so sad to think about how often we clobber one another with our words as well as our fists in our own homes. If you cannot feel safe there, where can you feel safe? My family doctor now routinely asks all patients, "Do you feel safe at home?" Those statistics are horrifying! And so many sad songs about domestic violence! Nowadays, extremely aware of all the violence in this world, Jesus' advice about being sad when a baby is born and happy when someone dies makes sense to me. Shyron - That’s a perfect way to commemorate National Domestic Violence Awareness Month. I look forward to reading it. I just found a poem that I wrote for my dear friend Trudy who was an abused child. I thought that I published it but I am not sure...so I will publish it in the very near future..
Larry - So often women who stay with men who abuse them are economically trapped. Suze Orman provides wonderful advice to every woman about having a freedom fund in case you ever need to escape. People never think it will be them, but there are a lot of people who have been surprised. I agree with you that the violence needs to stop. I'm a believer that there are many more kind people than bad ones. We just have to highlight the good and stand up for what is right when we see bad things happening. Have a wonderful week and spread kindness to all you know.